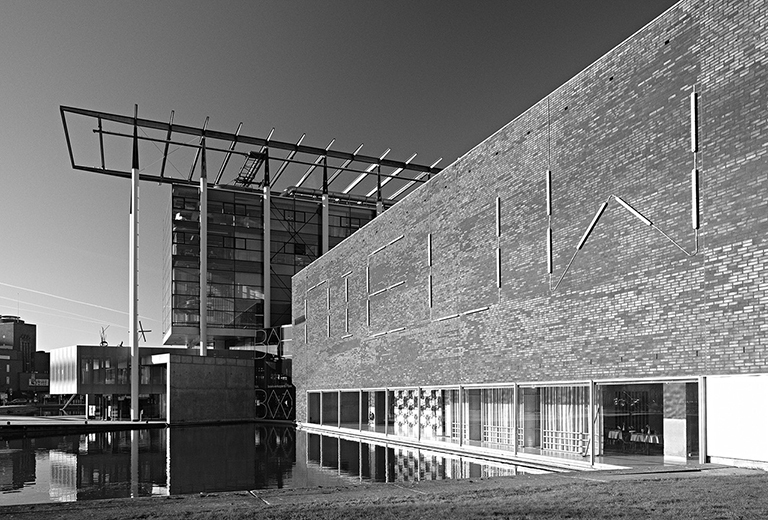 From 11 March - 18 May the galleries in Het Nieuwe Instituut will be closed while the building transforms into Neuhaus. The bookshop, Het Nieuwe Café, Study Centre, Workspace and Sonneveld House are open as usual. Het Nieuwe Instituut continues to programme activities in this period, see the agenda. From 11 March - 18 May, Sonneveld House has a reduced entrance fee: €7.50 / €3.75 (reduction). Closed on Mondays, New Year's Day, King's Day, Christmas Day. Please note: Het Nieuwe Café is in transition. Therefore, Het Nieuwe Café will be closed from 15 to 17 April and 23 and 30 April. Visit the NAi Booksellers website. Thursday Night at Het Nieuwe Instituut is a weekly programme of lectures, screenings and discussions on architecture, design and digital culture. Please note: From 11 March - 18 May the galleries in Het Nieuwe Instituut will be closed while the building transforms into Neuhaus. Sonneveld House has a reduced entrance fee: €7.50 / €3.75 (reduction). Combi-ticket Sonneveld House and Chabot Museum € 12.50 (no access to Het Nieuwe Instituut). Only available online. On Thursday Nights from 17.00 - 21.00 hours, you can visit the exhibitions in Het Nieuwe Instituut free of charge. The Study Centre is open to any visitor to Het Nieuwe Instituut. A ticket of Het Nieuwe Instituut also provides access to Sonneveld House and vice versa.